Someone once said that in order to succeed in business, your desire for success should be greater than your fear of failure. Euclid Cezar has once lost all his life savings from investing in a trucking business in 2010. The huge financial loss, which resulted in a string of debt claims from his relatives, left him with nothing. It was emotionally depressing for Euclid, who has been an entrepreneur all his life, to look for regular work in order to support his family. But the fear of failing again did not discourage Euclid to try to go back to business as he tried to move on after taking a break for over a year. One day, while talking to his wife, Katrina, who studied baking and pastry art, he came up with the idea of selling Belgian waffles. Sensing the opportunity to start up a new venture again, Euclid invested his remaining cash savings of Php200,000 that he salvaged from closing his multi-million peso trucking business a few years ago to open his first Famous Belgian Waffles outlet at SM North Edsa in 2012. The success of the first outlet enabled Euclid to expand the business and pay all his debts. 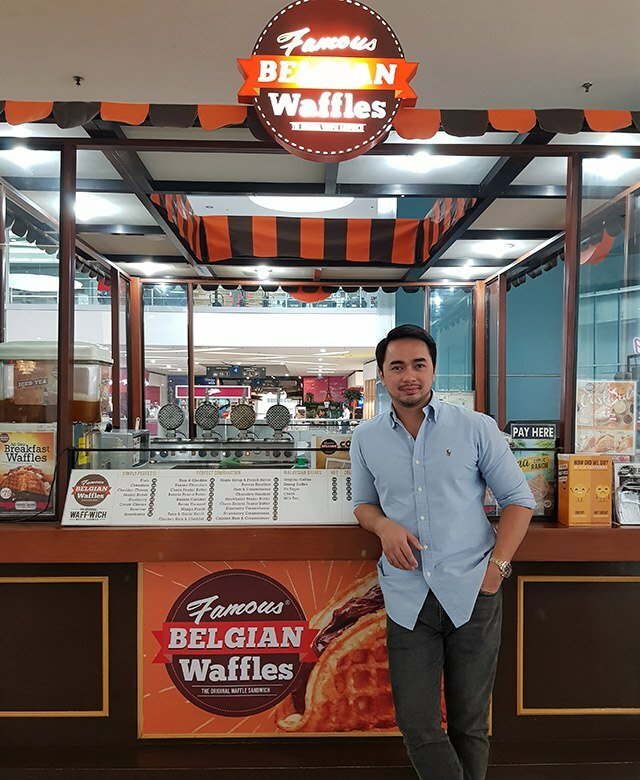 Today, Euclid Cezar is one of the most successful entrepreneurs in the country with his Famous Belgian Waffle growing to over 400 outlets nationwide. Cezar has also innovated other food concepts such as Mediterranean sandwich shop called Gyro V, which has currently eight outlets and a neighborhood eatery shop called Mami, Pares and More or MARES, which has 11 outlets. One common thing that separates the most successful entrepreneurs and the rest is the passion and perseverance to succeed called grit. It is possible to succeed in business if you are not good in numbers or not creative in marketing but without the attitude of persistence and determination, succeeding in business is almost impossible. “There are a lot of college graduates today who are really hardworking but do not get the right breaks in their career. Today’s weapon is not your typical ‘study-hard-and-get-a-college-diploma-to-succeed’ anymore; it’s having “tibay ng dibdib,” Cezar says in an interview with this writer. “You must have the guts to become an entrepreneur. You must not wait for opportunity to come to you. You must create your own opportunity. The good thing about having guts is all about ‘mindsetting.’ It does not cost anything,” he explains. Innovating is not only about coming up with new product ideas or solutions, but it is also about taking risks and learning from mistakes. People with an innovative mindset accept the importance of learning. They are not afraid to fail in order to learn to become better. To have an innovative mindset, you must be willing to learn from mistakes and embrace challenges. “Most of the time, the products and services that the market needs are not really new things. 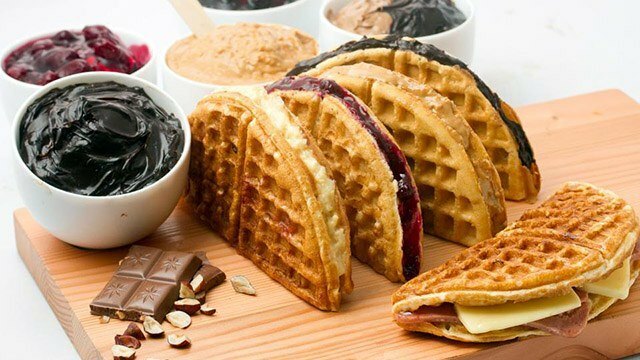 Famous Belgian Waffles is successful not because we invented waffles, we just innovated the way people eat waffles. We reinvented it into a sandwich and turned it into a grab-and-go product,” Cezar says. Master the habit of establishing small goals that you can reach regularly. You will be able to build your confidence and create momentum as you achieve more goals. Avoid adding too many activities in your business that do not add value. Learn to be flexible by making your business relevant to the market at all times. “Similar to the story of David and Goliath, being small does not mean there is no chance you can win. In business, being small is an advantage rather than disadvantage. Always think that if you’re a small business owner you are more responsive, flexible and quick in decision-making. So next time you are faced with bigger competitors, always think you have an edge over them,” Cezar says. Being accountable simply means being responsible for decisions made. If you have a new business idea, it will be good to share it with someone you trust and make yourself accountable to it to ensure that you execute your plans. “Most Filipinos are shy; they don’t really share their plans and dreams because they are afraid to be branded as mayabang in case their plans do not materialize. So normally, they will simply keep the plans to themselves. But if you keep this only to yourself, you will have the tendency to delay it, or worse, not doing it at all,” Cezar says. “If you really want to start something big like opening a business I suggest that you shout it out. Ibalita mo ang plano mo sa lahat, in this way you will be forced to work on that plan. In this way, you will feel the pressure to make it happen. Wala nang atrasan, lahat sila alam na plano ko kaya nakakahiya na hindi matuloy,” Cezar adds. If you go into business, you want to do something that has purpose and meaning. You want your business to make a difference by offering the best product and solutions to the market. One way to do this is to envision where you want your business to go and how you want to see it grow. “One of the free things in life is dreaming. Libre lang ang mangarap kaya wag mo nang tipirin,” he says.